Avina AT is usefull for education, staff training, health care and training agencies. 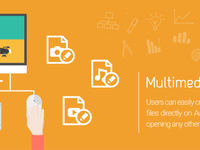 A simple and user-friendly software with full e-learning authoring feature and animation effects. All in one: Media, Mind map, Quiz, Chart and graph, and Import from PPT and ODP. The software is very easy to use, so you are possible to practice without training. 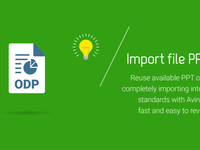 Great Authoring tool. 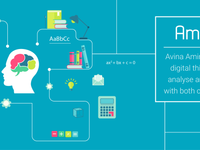 Very easy and fast to create Elearning courses. Comments: Avina is a great development tool for creating online course. 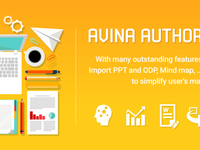 It has lots of features: Mindmap, Quiz, Multimedia, chart & graph, and all of it in just one Avina version, so convenient. There is no real training required as long as you have basic PPT skills. 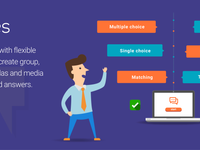 I have been using Avina Pro to create quizzes and Mindmap for my websites. Before bying Avina, I tried many similar softwares online, but I haven't found any better than Avina. I recommend that you save yourself some time by just bying Avina. My favorite feature is the ability to publish anything you create. Avina support many formats for puplishing your course and it will look so nice when finish. What I like the most about Avina is all features in one, it is very convenient when you don't have to open many different windows. Just highly recommend Avina with no hesitation because they have really put together a great product. It is more experience if you try it by yourself, so just try it by downloading free trial.